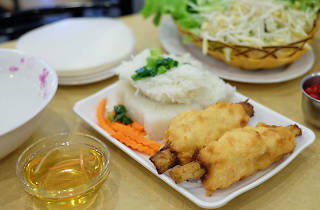 Gather the crew to make the most of the massive share dishes at this popular Vietnamese local. 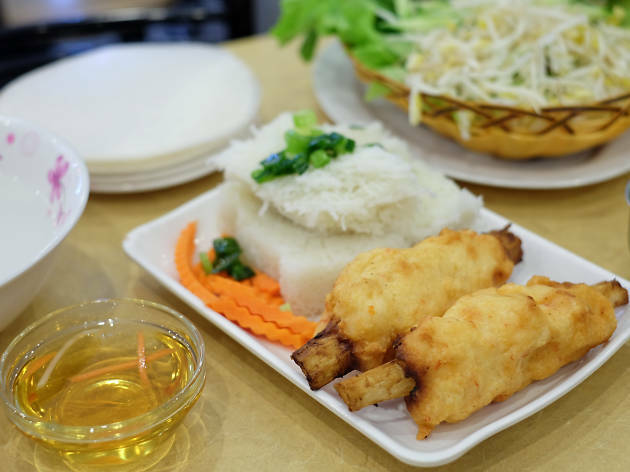 We’re talking campfire beef, canh chua ca sweet and sour fish soup and roll-your-own rice paper rolls with fluffy sugar cane prawns and springy mattresses of banh hoi steamed rice vermicelli noodles. The spring rolls here are worth ordering alone, rolled in sticky rice paper sheets northern-style and deep fried to a chewy golden crisp.